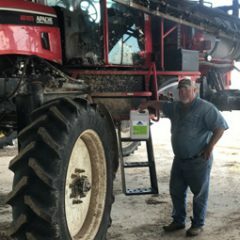 “In 2016, I sprayed glyphosate and Foma® 2.0 over my soybean crop. 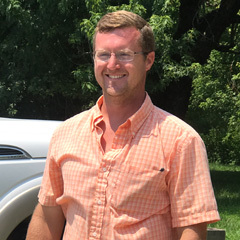 “The isopropylamine glyphosates had terrible issues with tank mix compatibility. I couldn’t get half a tank sprayed without having serious issues. 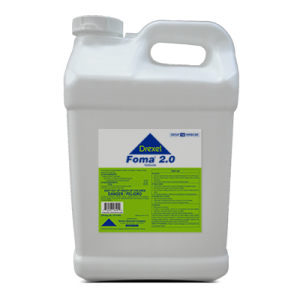 I switched over to using Imitator® DA with my Foma 2.0 and have had zero issues since. 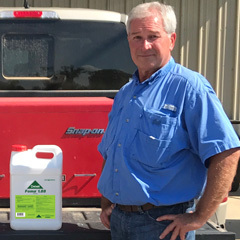 “I applied Foma® 2.0 over my soybean crop in 2017. I applied it in 15 gallons of water per acre. It showed good control on broadleaf weeds.